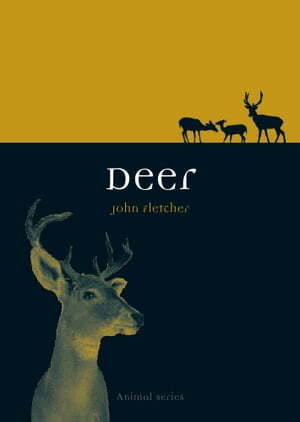 Collins Booksellers - Deer by John Fletcher, 9781780231242. Buy this book online. The Celts called them “fairy cattle” and the Greeks associated them with the hunter goddess Artemis, but for most people today, deer are seen as cute, like Bambi, or noble, like the Monarch of the Glen. They can be a danger when we're driving at night, or they can simply be a tasty venison burger. But while we may not often eat humble pie—an actual pie filled with deer organs—deer still appear in religion and mythology, on coats of arms, in fine art, and in literature ranging from The Yearling to Harry Potter and The Chronicles of Narnia. In Deer, veterinarian and deer farmer John Fletcher brings together the cultural and natural history of these dignified animals. Fletcher traces the evolution of deer, explaining why deer grow and cast aside their antlers each year and describing their symbolism in various cultures throughout history. He divulges the true story of Rudolph and Santa’s other reindeer and explores the role deer have played as prized objects of the hunt in Europe, Asia, and America. Wide-ranging and richly illustrated, Deer provides a fresh perspective on this graceful, powerful animal that will appeal to hunters and gatherers alike.